Happy Friday everyone! It's actually Good Friday today and what a good day it is! 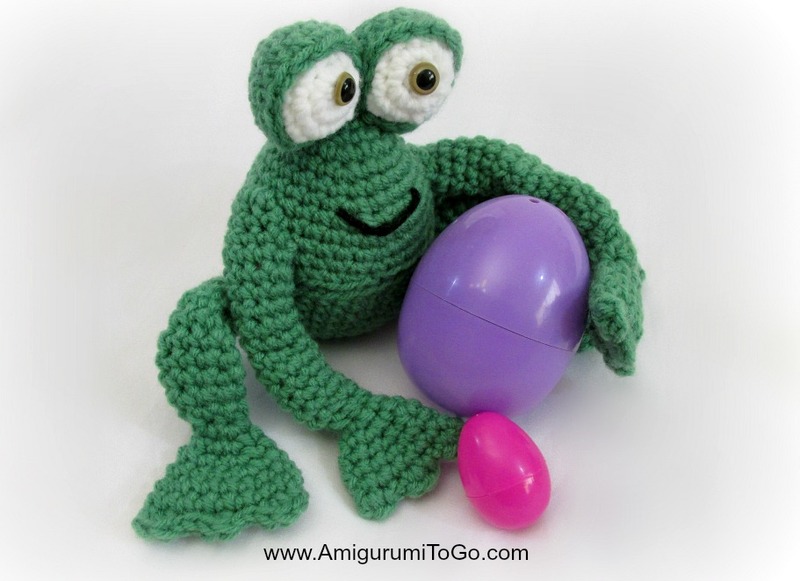 I was able to finish up my plastic Easter egg project.. well I have 3 projects to show you but this post is dedicated solely to the frog and his flies! 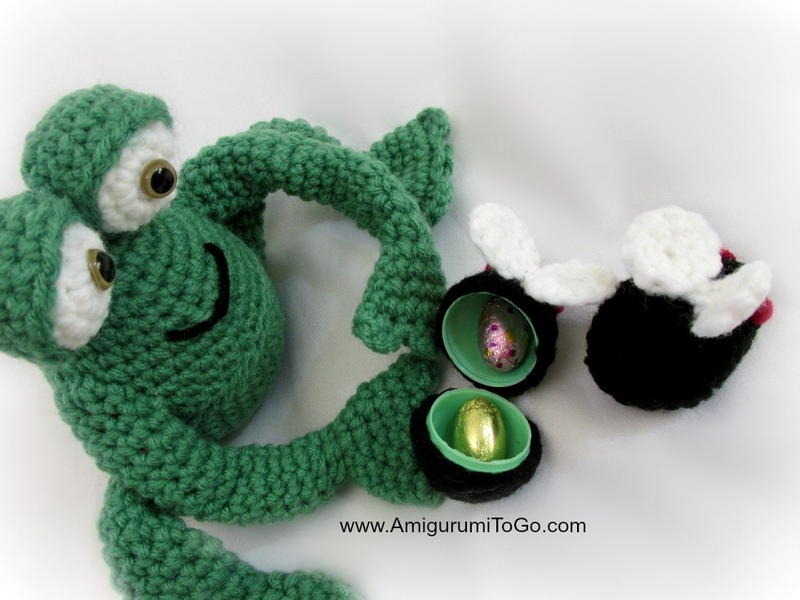 I have seen some projects done online with those plastic Easter eggs and I just love the idea so much that I came up with my own. 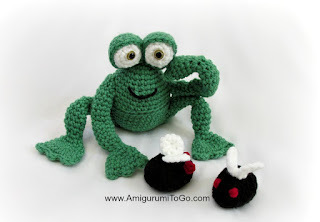 I think a frog catching some flies is very fun indeed! 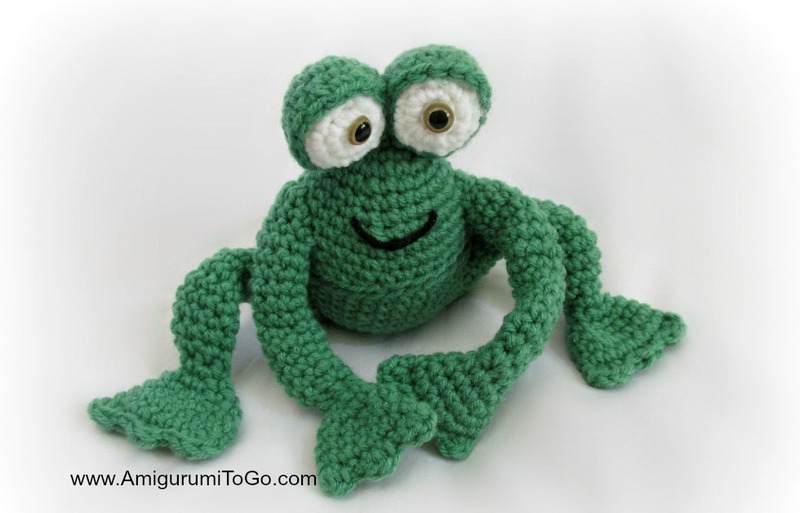 My children LOVE this froggy and giggle each time they see the flies inside his tummy. been re-filling those flies for half day now, lol. "Mom! The flies are empty again!" I found 3 different sizes of eggs, large medium and tiny. For this pattern I used a large and 2 tiny eggs. 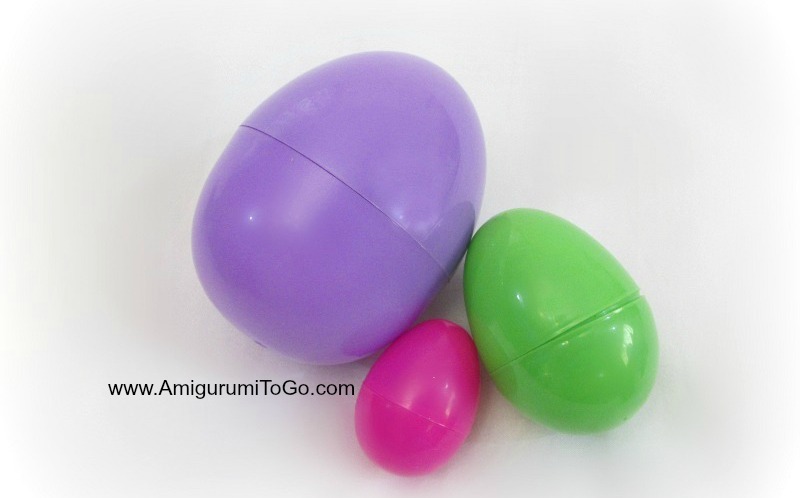 Hmmmm....I have lots of plastic eggs. I don't think I have the large. Yet. I sure will look for some tomorrow. So stink'n cute. 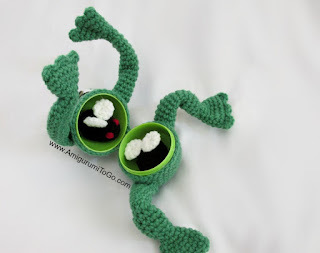 this is an great idea and is realy cute! can´t wait to start on this .... hope a pattern will be released soon. 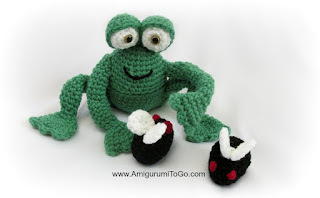 had so much fun to make the big foot bunny.... desperate for more. 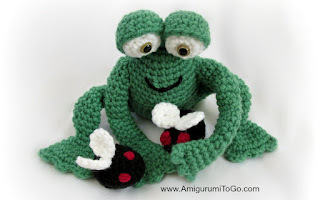 I love this pattern I made the frog and fly with no egg cause I can not find the eggs you used for the frog. I have ordered many and they are way to big. Please tell me where to find these large eggs! !